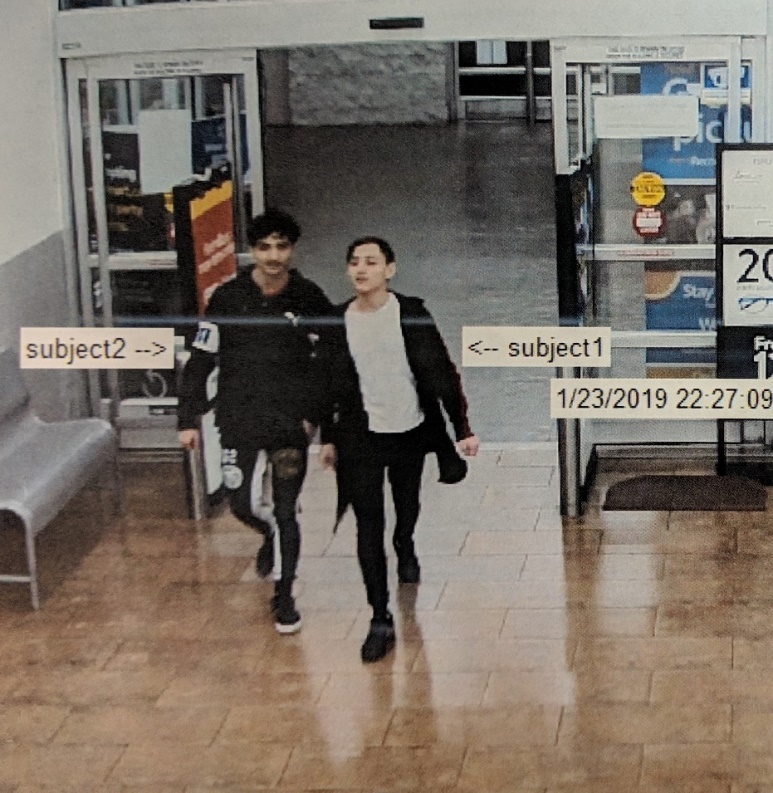 On January 25, 2019 at about 5:30 PM, Montgomery County Sheriff’s Office was dispatched to Wal-Mart located at 20310 US-59, New Caney, TX. When deputies arrived, they were advised by a Wal-Mart employee that two suspects (see below) have been stealing IPhones from the display case while employees were on break. Wal-Mart advised the same suspects have stolen phones from Wal-Mart locations in Porter, New Caney, Cleveland, College Station, and Houston. Wal-Mart employees advised in two days these suspects have stolen over $5,000 worth of cell phones from multiple stores. The suspects have been seen in an older model silver four-door Audi with (possible) paper tags on the rear of the vehicle and no front license plate. If you have any information regarding these suspects, please contact Montgomery County Sheriff’s Office at 936-760-5800 in reference to case #’s 19A029126 and 19A030472.